Prep is the first year of primary school in Queensland. The Prep program uses the Australian Curriculum to provide students with foundation knowledge in literacy and numeracy and forms the basis for learning throughout primary school. Pre Prep is the preschool year run by our Early Learning Centre (affectionately known as 'Noah's Ark'). It is a year specifically designed for children who are due to start school (Prep) the following year. The Pre Prep program develops the social and emotional skills as well as the basic literacy and numeracy skills needed in order for children to flourish at school. Our Pre Prep classrooms are adjacent the Prep classrooms at King's. The preparation and familiarity help children to start school confidently. 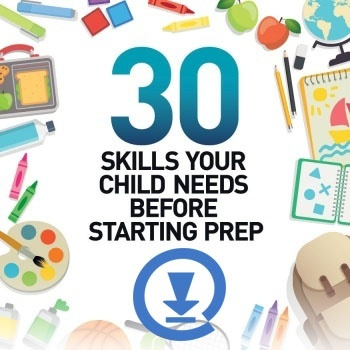 When should my child start Prep? Prep is the first year of school and children are eligible to start Prep if they turn 5 by June 30 of that year. At King's, children who attend Pre Prep have priority for available Prep places. It is likely that children enrolled in Pre Prep will take up most, if not all of the available Prep places. When should I apply to enrol my child into Prep? It is never too early to consider enrolling your child into school. Available places at your school of choice will be limited and application for Prep can be made at any time with a birth certificate as evidence of age. When does my child start Prep? The 'WHEN TO START SCHOOL CALCULATOR' on our navigation menu will tell you the year your child is due to start Prep, based on his or her date of birth. What are the hours of Prep? Prep is the first year of primary school and so the hours are similar to the rest of the primary school. The Prep day starts at 8.30am with the rest of the school, and finishes slightly earlier at 3.00pm. There are two breaks during the day but, unlike preschool, there is no sleep time. Can I enrol my child into Prep at King's without being enrolled for Pre-Prep? We expect that students currently in our Pre Prep classes will fill most places in our Prep classes the following year. Children in Pre Prep will be given priority for places in Prep. Very few places will be available once children from Pre Prep are offered places in Prep. In order to have priority for a Prep place, we strongly recommend that you enrol your child into Pre Prep. Those not enrolled in Pre Prep at King's will be placed on a waiting list. Is four too young to start school? If your child’s birth month would make them one of the youngest in their class, would you wait a year and let them start Prep with greater maturity? Or would your sparky preschooler be bored and unchallenged by another year of Kindergarten?